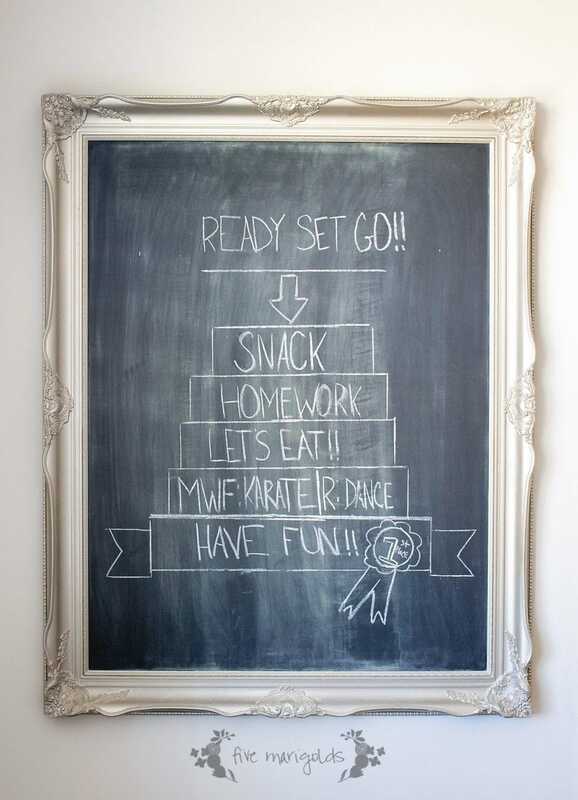 Set the Game Plan – We use this large chalkboard in our eat-in dining area to set the stage for our evening. Keeping your family’s agenda in a highly visible place keeps everyone on on the same page. 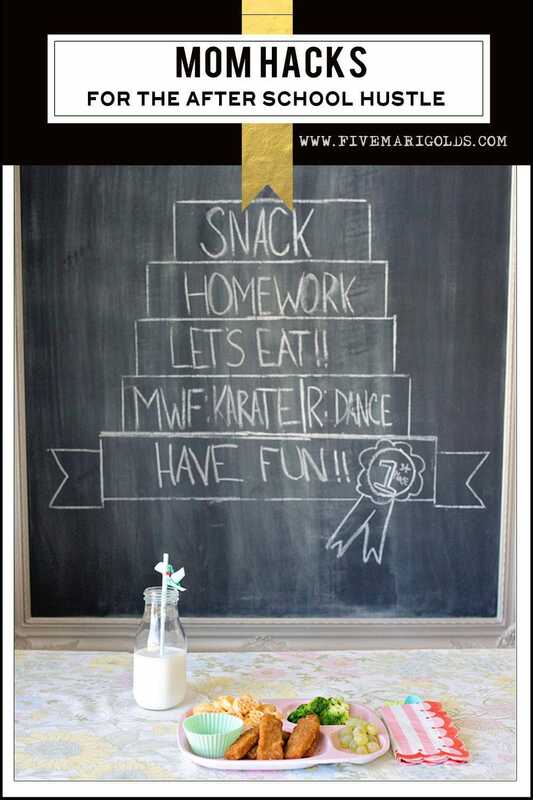 If necessary, list these activities by time frames to keep the evening flowing. Gymnastics, dance and karate, oh my! 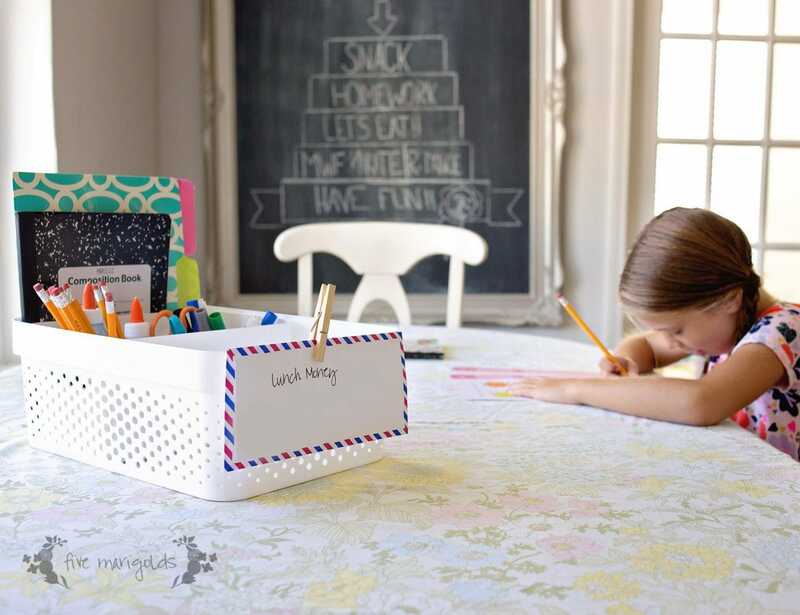 Keep it Together – I use simple, multipurpose containers to create a simple homework supply station. No more searching for a sharp pencil! When it’s time to get to work, the kids have everything at their fingertips. When they’re done, we tuck the supplies away in a cabinet for next time. Create a Stash System – I can’t stand a cluttered counter, but school papers, notes and book orders seem to cover every square inch! So, I created a system for reducing this counter chaos. 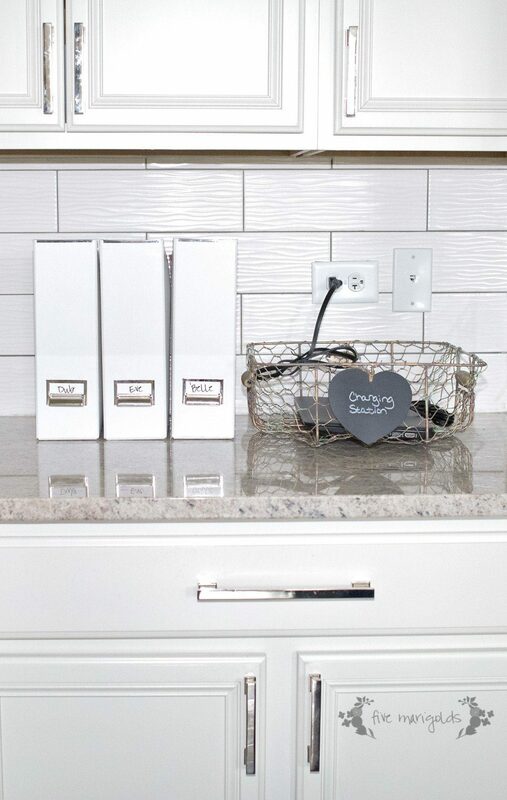 I introduced these simple magazine bins as a way to file away returned homework and important papers out of sight. Our kids also have school-issued electronics, and we created a charging station to keep them in one place, ready to go for the next morning. 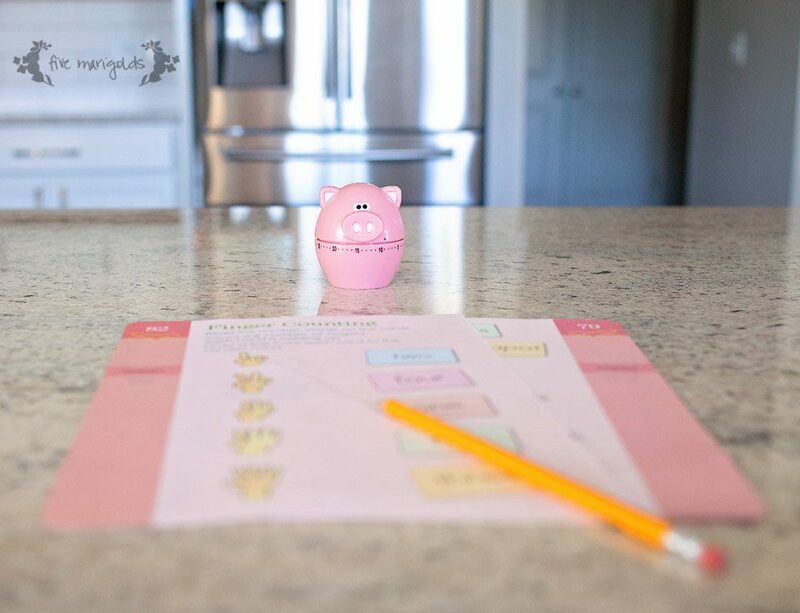 Time It – On nights that the kids are frustrated about homework or chores, I’ll introduce a timer. We’ll agree on an amount of time we’re willing to work really hard before we stop – 5 or 10 minutes. Funny thing – they’re always done before the timer dings, and are pleasantly surprised that their dreaded task didn’t take long at all. Plan Go-To Meals – The most important thing I do to keep my family on time is to have a solid meal plan before the week even begins. Family meals are a non-negotiable in my house, so I keep several “go-to meals” in my back pocket for the busiest of nights, to keep us from falling into a fast food takeout cycle. My mom friends and I are always on the hunt for those holy grail meals that meet the go-to meal criteria: quick, nutritious, and kid-approved. I discovered my latest go-to meal for the kids last week at Target. Kidfresh meals make my life easier, because they fit my go-to criteria and more. 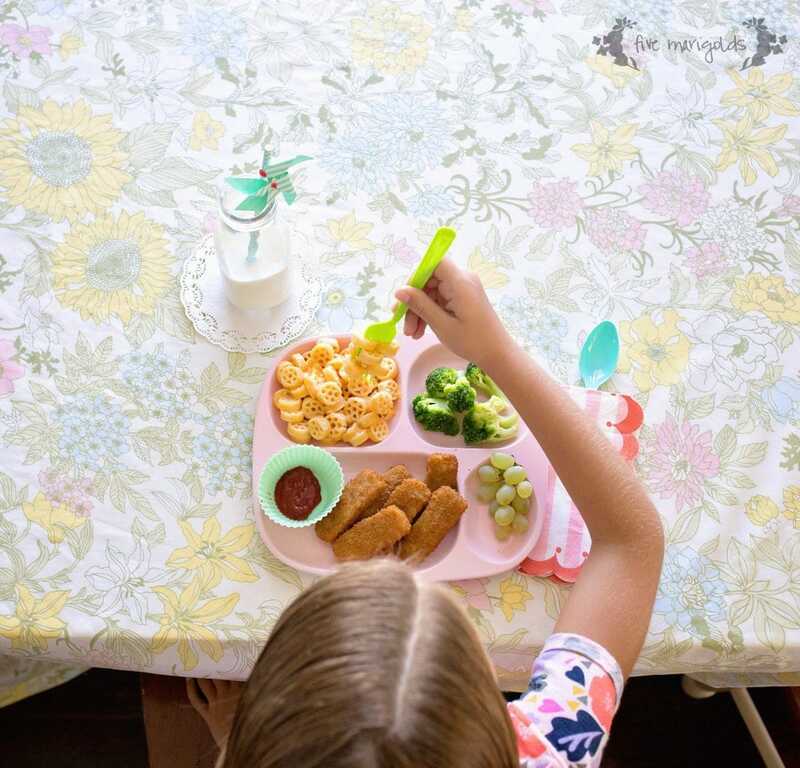 My go-to meal: Kidfresh Fun-tastic Fish Sticks and Kidfresh Wagon Wheels Mac + Cheese, served up with fresh fruit and veggies. What I really love is that they contain all the right things: up to 1/2 cup of vegetables per serving and a short, clean ingredient list. 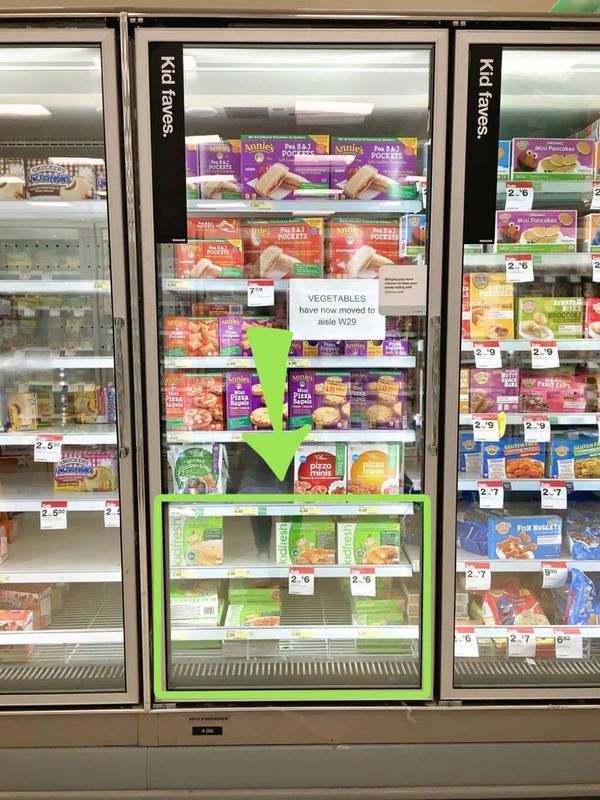 The flavors are all kid-tested and approved, so even if my kids don’t eat every last bite of broccoli, I know they’re still getting their veggies in. If you’re looking to add this go-to meal option to your meal plan, now is the time to stock up! Right now you can get 40% Kidfresh Meals at Target in the Kid Faves aisle. Get this offer on Cartwheel here through 9/24/16. What do you think of my mom hacks for school nights? What would you add to this list? I love using the timer to break tasks up. Super ideas! Pinning for later. You have so many great ideas! I love the homework supply box. And I love your home. Wow! Love all of this so much! And love your photos! I love the magazine bins for containing clutter. I have been struggling SO much with feeling like my kitchen counter gets eaten by all the paper that comes through the door. I am going to have to try that! Yes! The counter clutter is enough to drive a mom crazy! These magazine bins work so well for setting aside papers that no longer need our attention, but perhaps we need to hang on to. I love your tip!! So Fun!